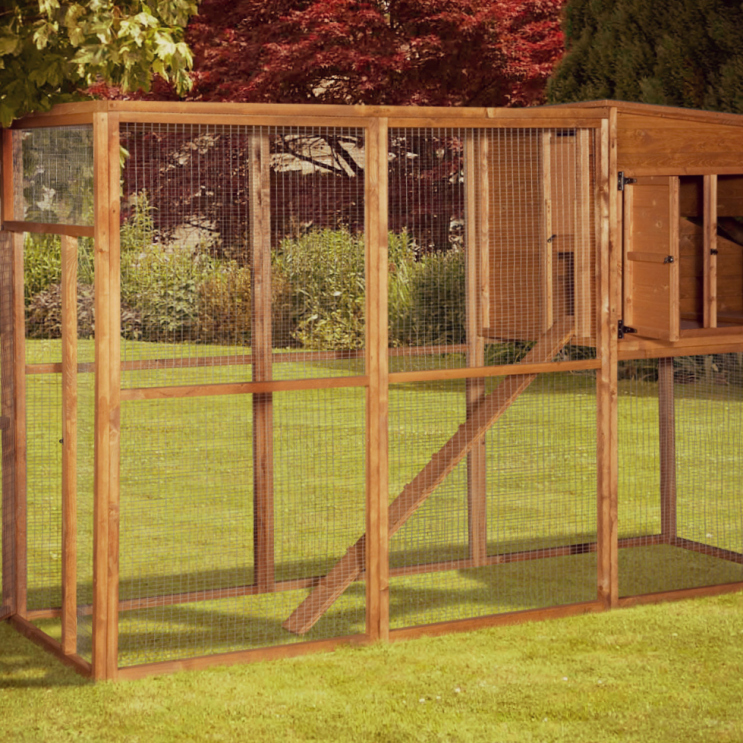 The Sally Hen House is a deluxe Hen House, styled on a traditional, old English design. 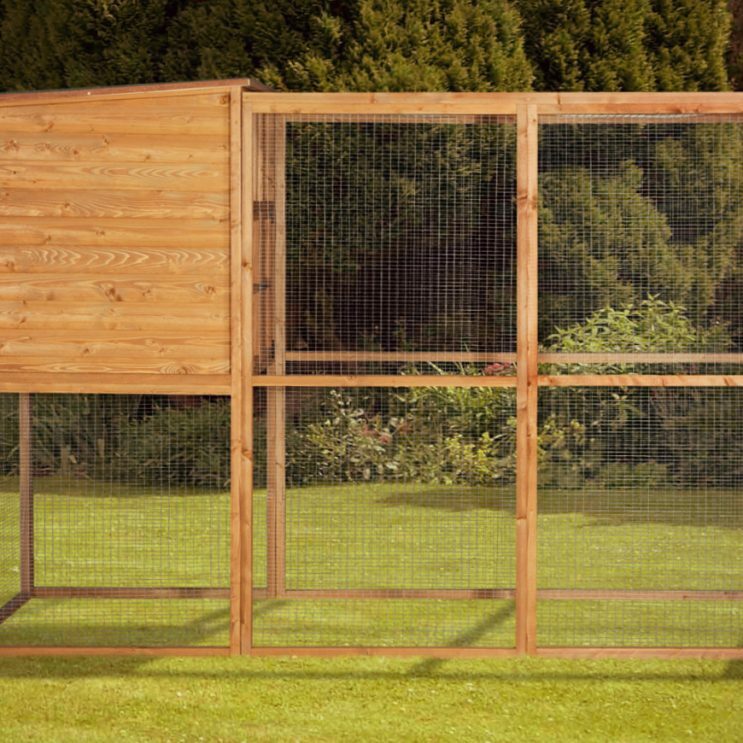 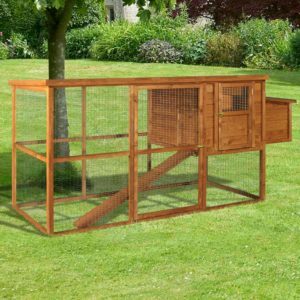 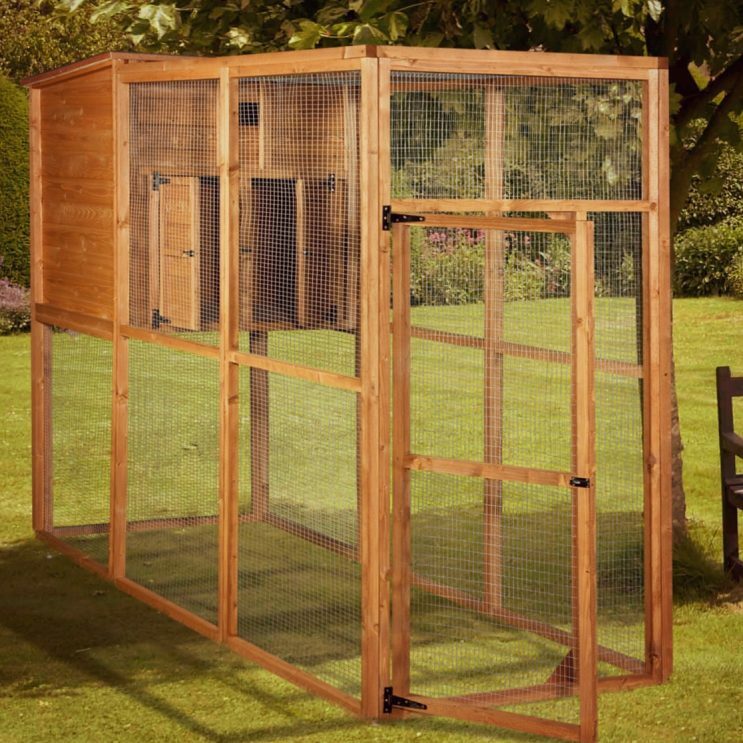 With generous proportions it’s perfectly suited for 3-5 hens. 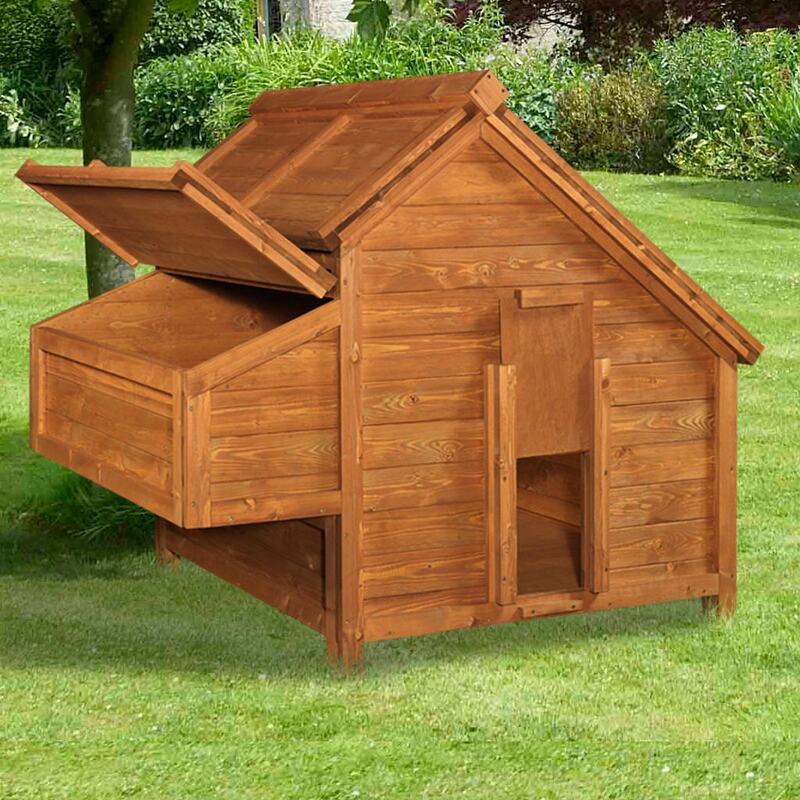 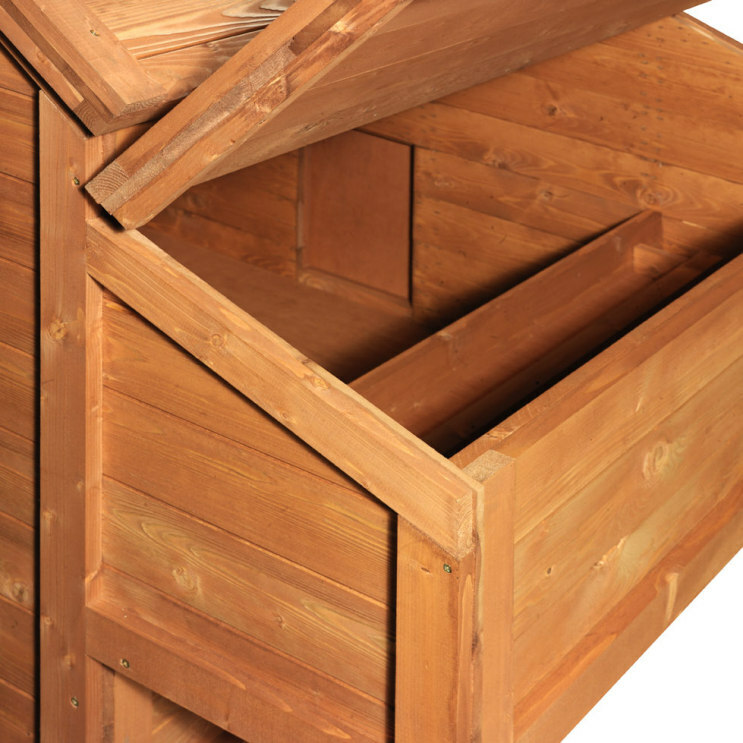 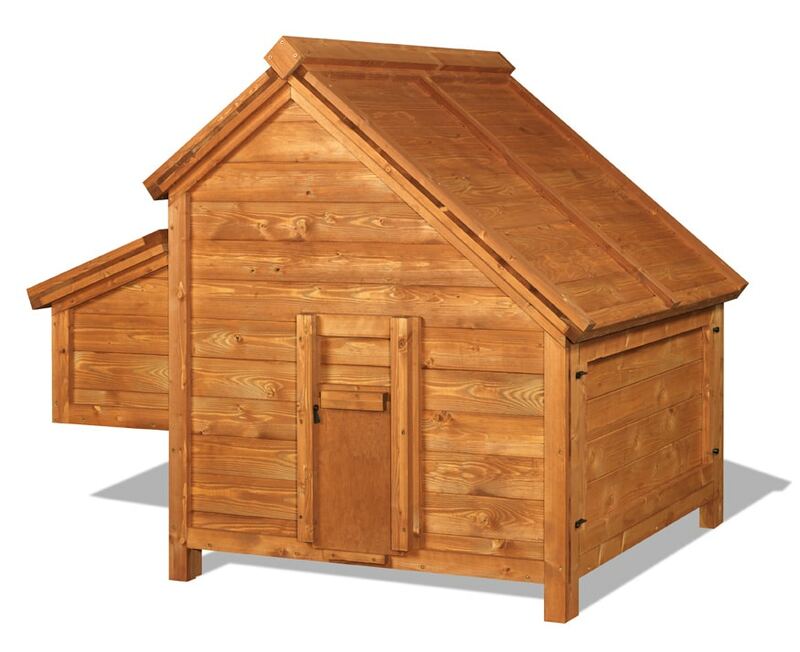 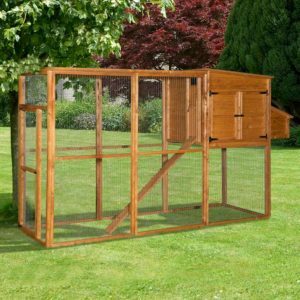 Manufactured in the UK using robust 14mm Scandinavian Tongue & Groove timber, this Hen House features a side nesting box (with lift up lid for easy egg gathering and cleaning) whilst the main coop includes a drop down pop-hole and lift-out side panel for easy access and regular cleaning. 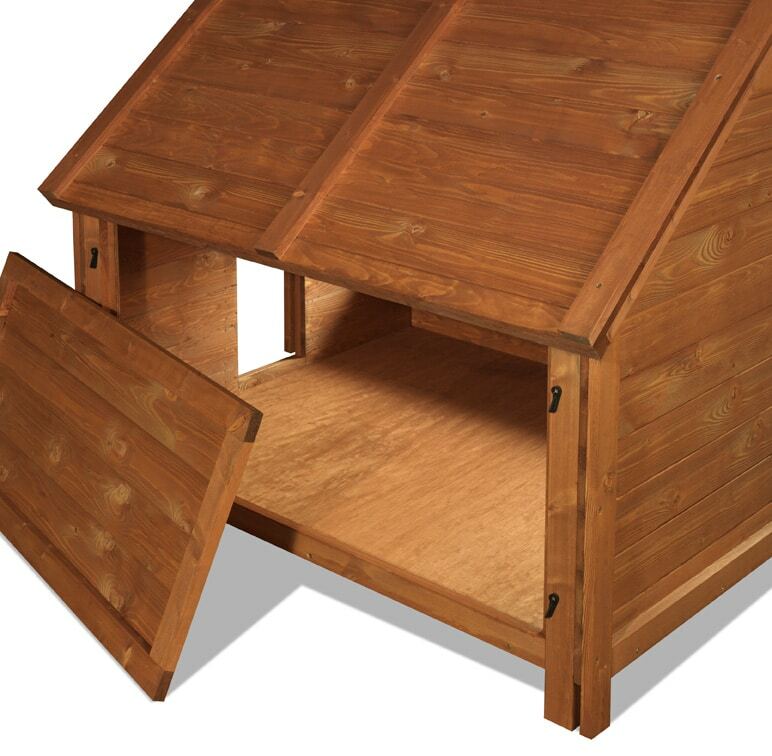 Integral legs lift the hutch off the ground to prevent rising damp and ensure adequate air circulation. 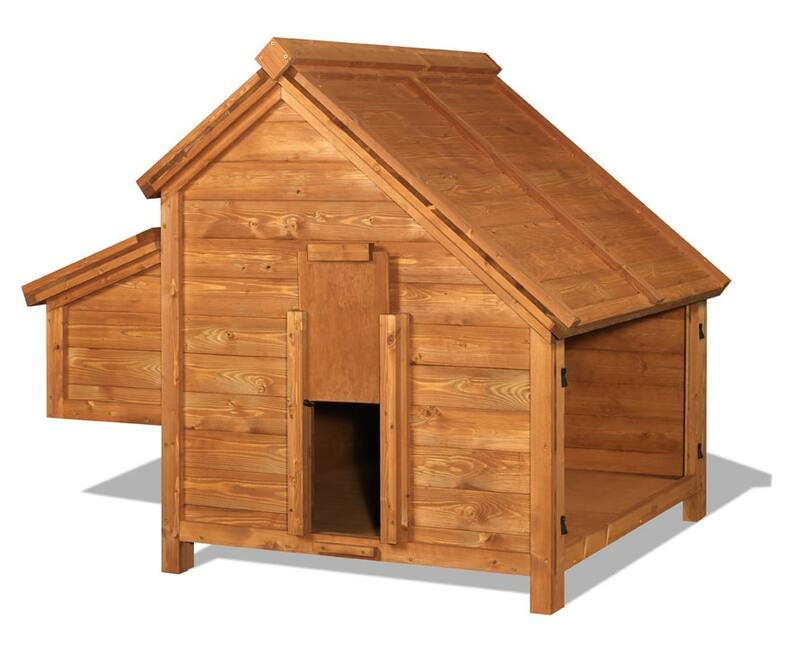 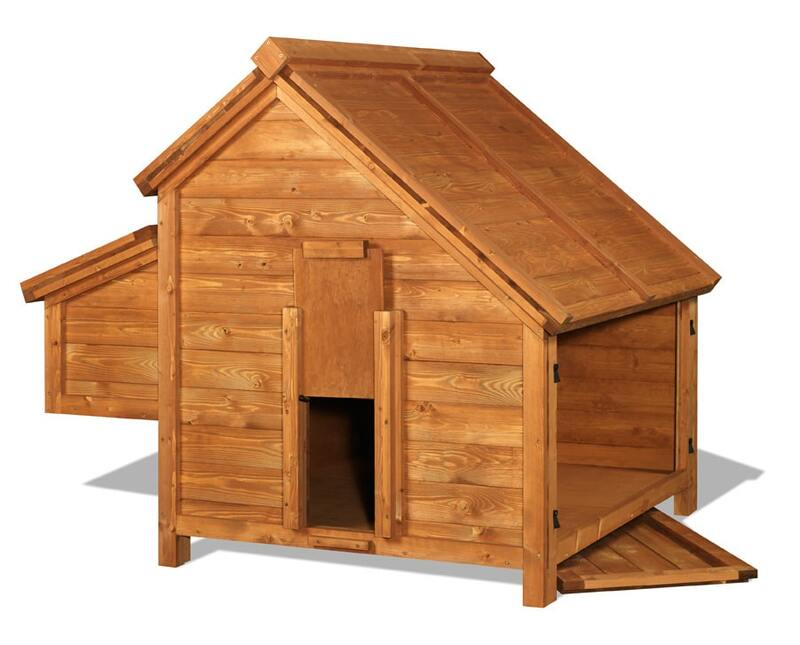 The Sally Hen House has been weather proofed with an animal safe, water based wood preservative, to protect from rain and sun deterioration. 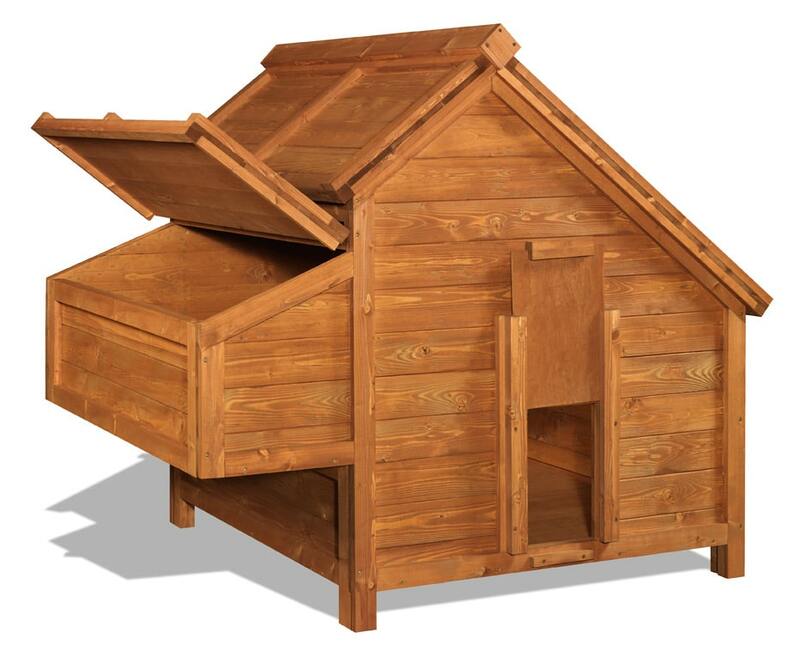 Regular floor cleaning with a stiff brush and dustpan will ensure your hens remain healthy and happy, whilst extending the life of your Hen House. 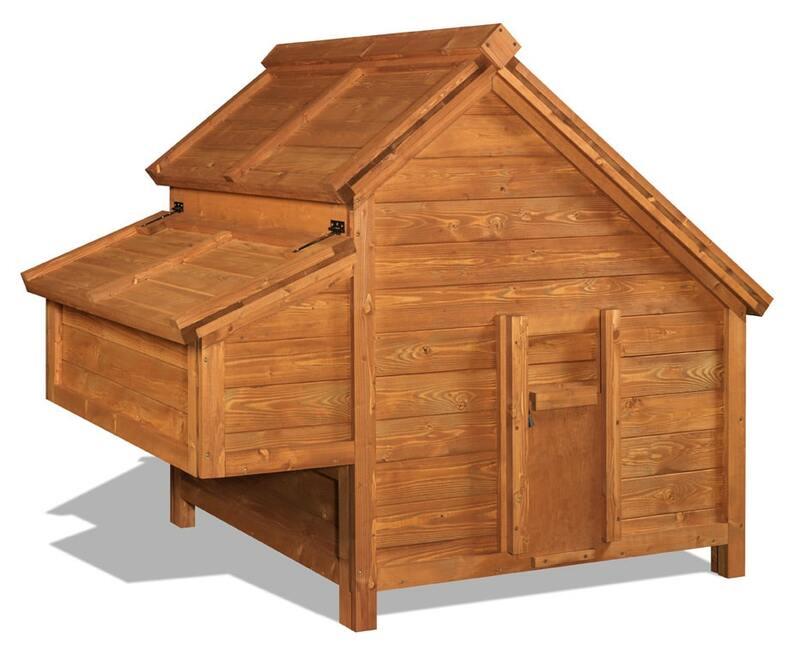 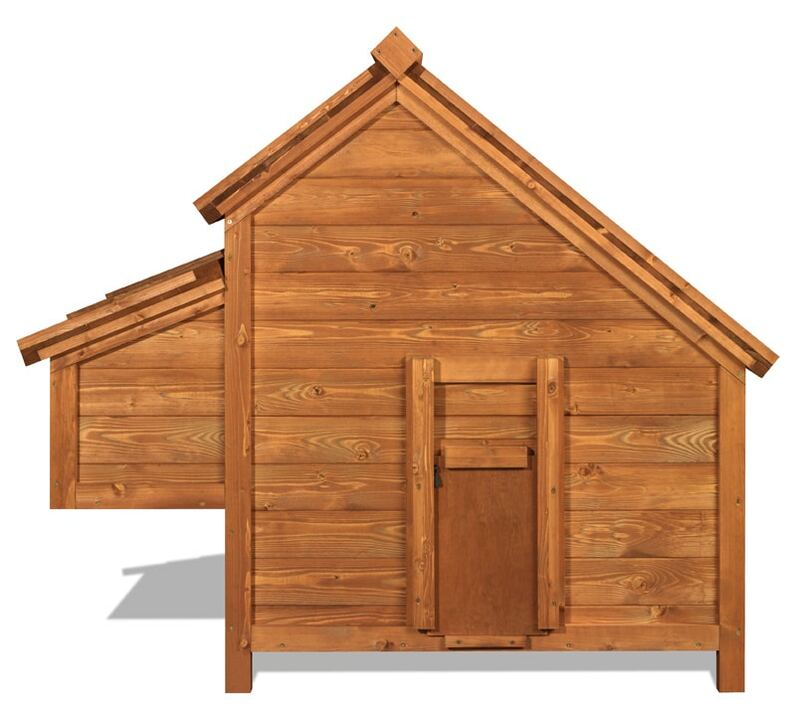 Apply a water-based wood preservative once a year to extend the life of your Hen House. 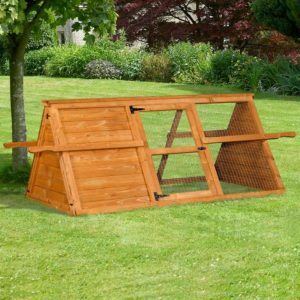 Careful consideration should be given when positioning Hen Houses, particularly where there is a known fox population. 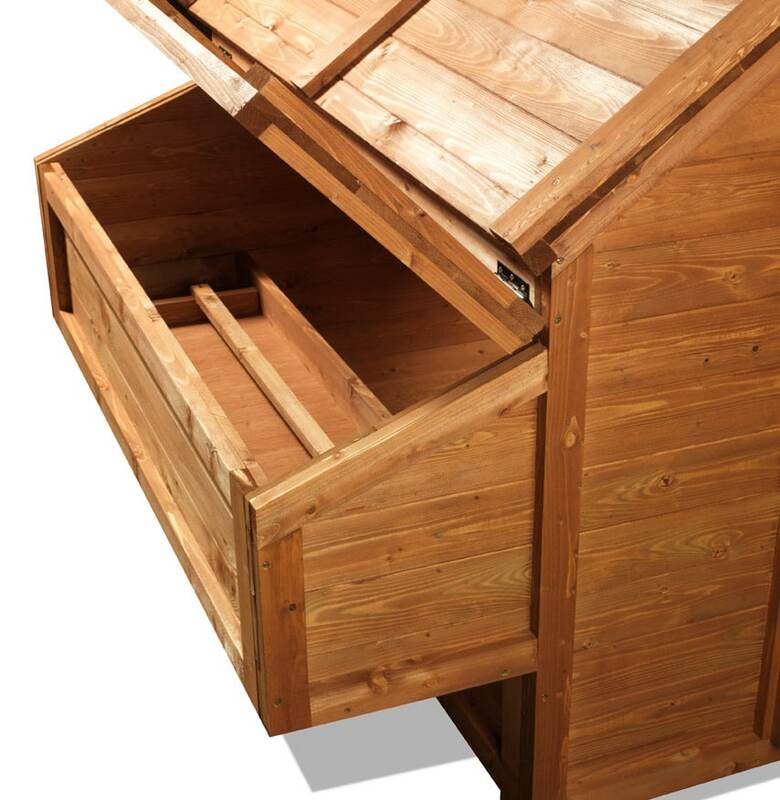 Additional security should always be considered.